Leave an email address if you would like a response to your feedback. 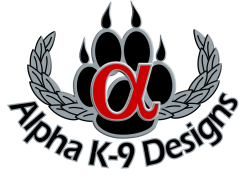 © Copyright 2014 ALPHA K-9 DESIGNS LLC. All Rights Reserved.